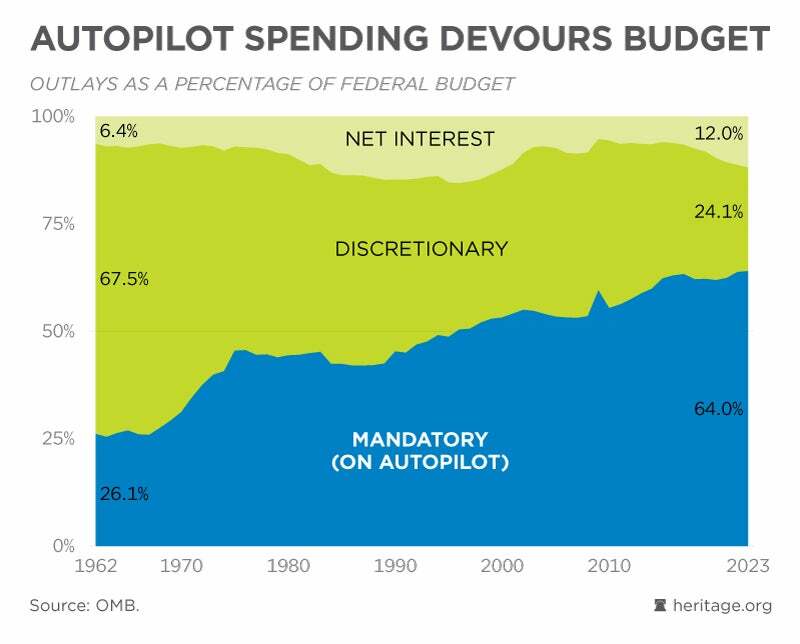 Members of Congress are promoting the concept of changing three programs from the discretionary category (requiring annual appropriations) into mandatory (auto-pilot) spending. Such changes would become a huge backdoor spending increase. Spending limits have come under relentless attack from both parties. In 2013, 2015, and 2018, Congress passed massive spending increases with little to no effort to find pay-fors. 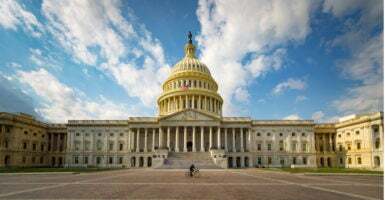 With just two years remaining for the Budget Control Act’s modest restraints, there is tacit agreement that Congress will likely make yet another deal to add to the nation’s $22 trillion debt. If that was not bad enough, there is a long, bipartisan tradition of finding shortcuts around already-inflated spending limits. Appropriators have repeatedly used fake savings to squeeze more spending inside the caps. Disaster and war funding exceptions have been abused to the tune of hundreds of billions of dollars. Congress has accepted flagrant violations of budget rules with minimal resistance. Another tactic for avoiding budget discipline is to re-categorize existing programs. While discretionary spending is subject to limits and annual deliberation, so-called mandatory spending is typically left to grow unchecked. Mandatory spending—which includes programs such as Social Security, Medicare, and Medicaid—is the driving force behind today’s gargantuan federal deficits. In 1969, mandatory spending was less than half the size of discretionary spending. Today, the reverse is true. Three programs are currently under consideration for a spending shift: the Veterans Choice Program, the Indian Health Service, and the Harbor Maintenance Trust Fund. If any of the discretionary-to-mandatory swaps take place, it will mean billions in additional nondefense spending within the same caps. Of the trio, the only one at risk of passing in the short term is the Harbor Maintenance Trust Fund. This fund, derived from taxes on cargo and people moving through domestic ports, is used to pay for harbor maintenance projects undertaken by the Army Corps of Engineers. Currently, the appropriations process limits spending through the fund. Members led by Sen. Richard Shelby, R-Ala., have sought to make the trust fund’s activity no longer count against discretionary spending caps as part of a pending disaster spending package. This would not only free up over $1.7 billion in spending cap room for the current fiscal year, but it would also enable billions in additional spending from the fund’s reserves. Congress should change the fund toward a user fee-based model. However, today’s awkward practice is still preferable to removing the fund from the annual spending process. Ideally, this policy rider will not be included if the House and Senate reach a disaster spending deal. Veterans’ health care could become a similar fiscal football as members of Congress seek to leverage our national gratitude toward service members into a blank check for big spending policies. Last year’s VA MISSION Act increased funding for the Veterans Choice Program, leading to a fight over how to pay for the law’s authorized spending. Appropriators wanted to increase in spending caps rather than consider how to eliminate billions of dollars thrown at wasteful and unnecessary programs each year. Ultimately, members maintained the spending limits while funding Veterans Choice. Rep. Barbara Lee, D-Calif., has introduced an amendment to move VA MISSION spending into the mandatory spending category. As with the Harbor Maintenance Trust Fund, this would make room for spending on other programs under the caps. Appropriators are also examining the Indian Health Service, which provides medical care to Native American Tribes, for spending category movement. The program received $5.8 billion for the current fiscal year. Members such as Rep. Tom Cole, R-Okla., with significant Native American populations in or adjacent to their districts, have long sought to increase funding for the Indian Health Service. As with VA and harbor maintenance, the implication is that Native American health spending is too important to worry about budgeting for. For all three programs, a category shift would mean a budget-busting two-for-one. Not only would other programs receive increases due to new room within the spending caps, but the programs themselves would grow unchecked due to no longer being constrained by the caps. The reality of budgeting for governments and households alike is that money comes from somewhere, and priorities must be balanced. Taxes and spending have been badly out of alignment for years. Political leaders have a responsibility to be straightforward with the public: either taxes must go up, or spending must go down. Attempts to obscure this reality by moving more and more programs out of the annual appropriations process do a disservice to taxpayers and program beneficiaries alike. The 116th Congress has an opportunity to take a stand for fiscal responsibility by rejecting these budget tricks.